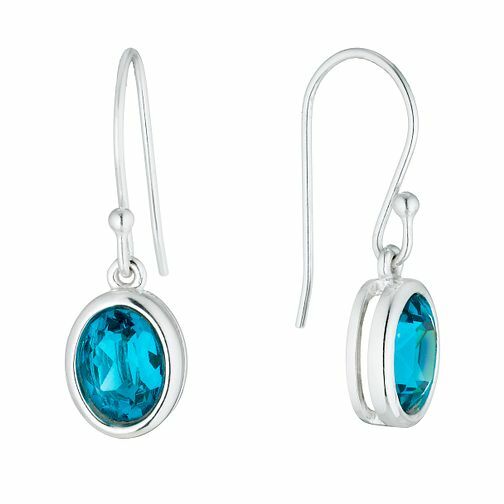 Add a splash of colour to your look with these stunning teal crystal drop earrings. Carefully designed in polished sterling silver, these oval shaped drop earrings move freely for stand out sparkle. Sterling Silver Teal Crystal Drop Earrings is rated 4.8 out of 5 by 6.